Metropolitan Transportation Authority Chairman Joseph Lhota has proposed a fare hike in a letter to the board on Friday that outlined his strategy to bring an additional $450 million in revenue to the MTA. Lhota’s plan includes raising the base bus fare 25 cents to $2.50. The price of a 7-day MetroCard would be raised from $29 to $30, and a 30-day MetroCard would jump from $104 to $112. The MTA proposal to the board also includes a $1 MetroCard “green fee,” which would be imposed on customers buying new cards instead of refilling an existing MetroCard. The “green fee” was previously approved, but has yet to be implemented. By encouraging commuters to reuse their MetroCards, the MTA would expect to save money on production and cleanup costs associated with producing large quantities of cards. If the plan goes into effect, commuters on the LIRR can expect ticket prices to increase by between 8.2% and 9.3%. The plan also extends to bridge tolls, and drivers who use the Verrazano Bridge are expected to be the most affected. Lhota’s plan proposes raising the toll from $9.60 to $10.66 for those with a non-Staten Island EZ pass, and $15 for drivers to pay with cash. 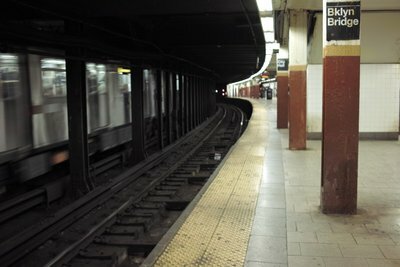 The MTA is expected to vote on this proposal on Wednesday. If the plan is passed, the changes will go into effect in early March. Subject: LongIsland.com - Your Name sent you Article details of "MTA Commuters Face Potential Fare Hike"